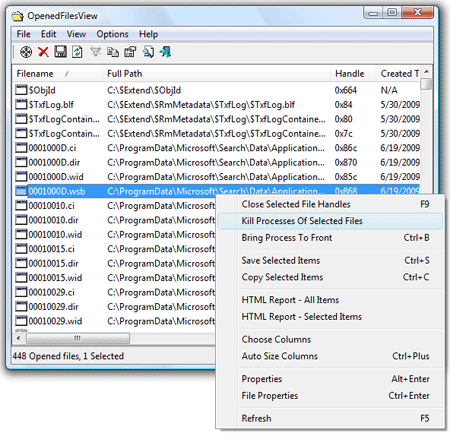 OpenedFilesView is a free portable utility that enables it’s user to view, manage and delete locked files. OpenedFilesView is particularly helpful when attempting to delete, open or move a file and you get the following error messages: Cannot delete [filename]: There has been a sharing violation. The source or destination file may be in use. Cannot delete [filename]: It is being used by another person or program. Close any programs that might be using the file and try again.